Barclays Premier League fantasy football is a relatively new game played by football lovers and supporters of the Barclays Premier League. The league is one of the most popular leagues in the world, and it attracts fans from across the globe. Every individual tends to have his opinion about the best players - both in defense and attack - and they differ from one person to another, often leading to enmity. Premier League fantasy football gives you the chance to put these opinions into play by giving you an opportunity to be the coach or rather the owner of a team, name it and choose your super squad and compete with other members. This has helped to distinguish between good coaches and poor coaches among the fans and has saved the actual football managers from excessive criticism from people who would not do a better job put in their shoes and with an added advantage of choosing players from all the teams and putting them together to make a super team. The game is often played for bragging rights, but there are advanced membership opportunities where you play, and the winner gets a certain prize money. There are some Barclays Premier League fantasy football tips available despite the game being new. Whether you are playing for bragging rights for fun or for the prize, victory is the ultimate goal. The Barclays Premier League fantasy football is very easy to register and play. Firstly, timing is important so as to keep up with the rest of the players. You need to register and have a running account at the beginning of the season so as to start at zero points with the rest of the players otherwise, the whole thing will be pointless. You then need to visit the site through your browser or by downloading the application if it is available. This is followed by registration where you create your account by filling some details which are normally less hectic than most online games. Details such as credit card numbers are only necessary when going into membership which is an advanced level. After the registration, you are required to choose your team. You should be keen so as not to select a player who has an injury since this will earn you no points. It is important to go through the player profiles and make an informed choice that is likely to win you the league. The team is given fake money so as to ensure reasonable selection of players since it is impossible to have all the best players in one team since this would be too costly for any team in the world. 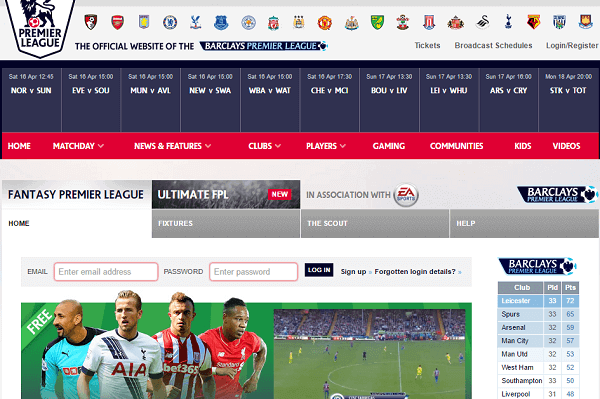 The site allows you to carry out transfers till a certain deadline which is usually the game day. You can check the progress of your team and look at the table standings to know your position as per that specific game week and the overall position after all the games. It is essential to check the players you chose after each week since some might have gotten injuries during the weekend whereas other might be out of form and may require replacement especially if they contributed very little to the team and the trend is unlikely to change. 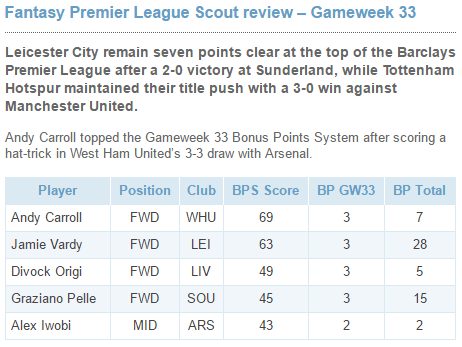 There are tips that will help you maintain a successful run in the Barclays Premier League fantasy football. First, you need to carry out a good background check on the current player profiles before choosing your team or making any transfers. Some players may be famous and reputable, but their current form may be questionable hence they will not add value to your team. Secondly, premier league fantasy football requires consistency in analysis of the players and making transfers. You should ensure you check your team after every game week and make the necessary changes. Barclays Premier League is a tough league characterized by a very hard type of play. Therefore, players are bound to get injured, and others can lose favor in the eyes of their coaches hence they would not play in the next matches. This shows that it is important to check your team regularly to ensure that it is high performing. Also, you should check the status of the team in which you are picking a player from. This is crucial when picking significant point earners like goalkeepers. For instance, if your goalkeeper is from a team with very a solid defense, he is likely to get a clean sheet which helps you gain points. Lastly, you should read the comments and critics in the Barclays Premier League fantasy football site since they provide vital information about players and teams that you can use to choose your players. This game is very easy to win, but it requires the few tips to maintain a winning streak. How do you assess players and come up with a single score? We use the ICT index to assess players in premier league fantasy football terms. This utilizes statistical data to come up with a single score by considering three key factors which are influence, creativity, and threat. It is practically a measure of the importance of a player to the team. These scores are generated on a weekly basis as long as the premier league games were played. You can access the points a player has been getting in previous weeks, and this can guide your choice of players for your team. Players who are not active through injury or illness are not assessed therefore they earn you no points. There is no form of bias in the awarding of points since no player is favored by the site but awarded according to his work rate in the match. Barclays Premier League fantasy football is a great game that enhances your support for premier league football. It enables you to be part of the whole football experience. Hence, you enjoy the game better. The game has enabled people to know their players and understands various football facts while watching the game, so this is the time to join premier league fantasy football and enjoy the game like never before.